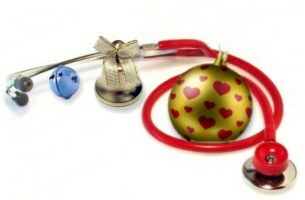 If you would like to help us this year, please sign up here - Volunteer Sign Up. For more information on St. Jacobs Sparkles, please visit their page by clicking here. The art of public speaking can be an important skill. As students prepare for the future, expressing their thoughts and opinions to an audience can be a valuable experience. We would like to give the youth in our community the opportunity to do that through an Oratorical competition. This year's competition will be held April. Dates have yet to be finalized, but please what this page for further information. In partnership with St. Jacobs Public School, we are continuing our commitment to the Optimist Leadership Program. The purpose of this program is to help develop children's potential through exposure to activities specifically focused on creative thinking and personal development. Our total commitment to this program up to $19,000. We are excited to see it providing a Robotics program, supply motivational speakers and authors, subsidize leadership camp fees, and provide counselling services and programs where needed. Thank you to all who came out in support of the car show on Saturday, May 28th, 2016. 201 vehicles were in attendance! We collected 284 stuffed toys, and almost $1500 after expenses between the 50/50 draw, raffle and donations. Our 50/50 Winner, William Reitzel of Kitchener took home $379. 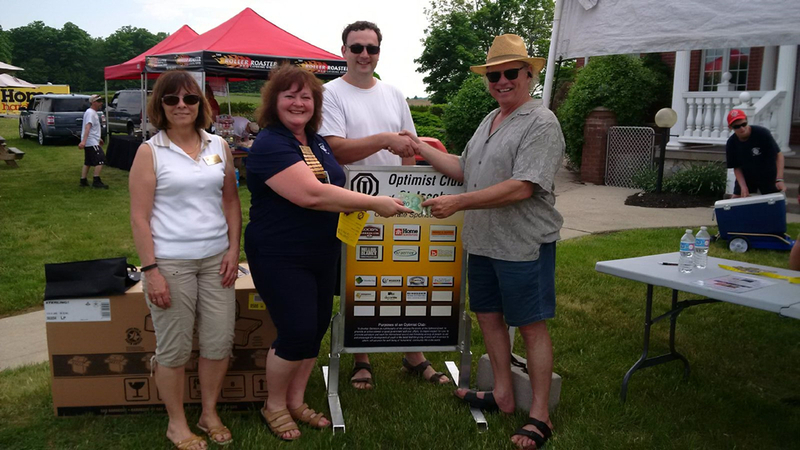 The Sterling BBQ & $250 Stemmler’s Meats Gift Certificate was won by Don Nadrofsky. All proceeds raised will be used to purchase stuffed toys to group with those collected at the show. These are donated to the Grand River Hospital Emergency Room where they are given to children awaiting care. Pictured here with club members is the winner of the 50/50 draw - William Reitzel. Pictured here with club members Dave Gromeder is the Raffle Winner's - Mat Nadrofsky. 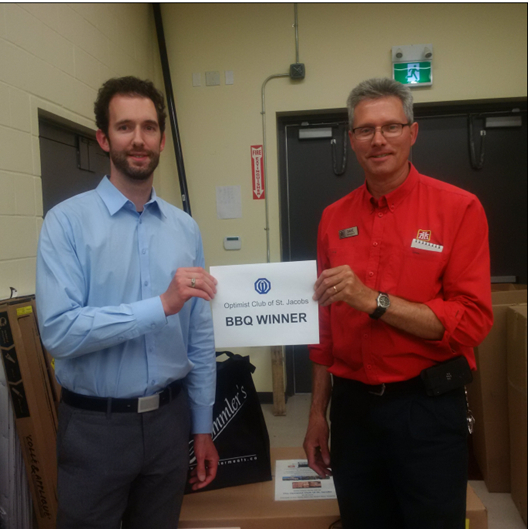 Mat picked up the prize on behalf of his father Don (BBQ and gift card from Stemmler’s Meats). 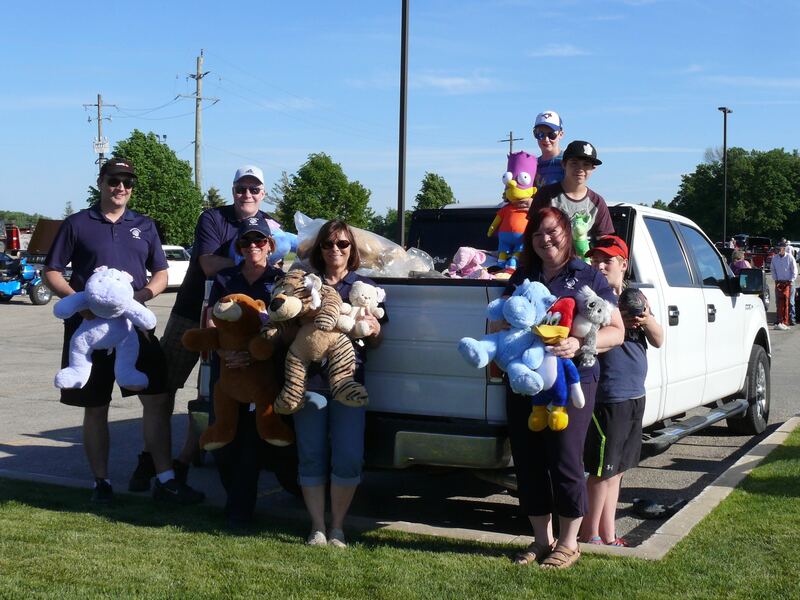 A truckload of bears for Grand River Hospital! !